A shared workspace in Stockholm embraces the social-club-as-office model—plus fine dining for all. Like his native Nordic city, Carlström’s approach smacks of the less-is-more ideology—a notion he introduced stateside with the multibrand shop Austere, in L.A., and the popular East Hampton boutique hotel the Maidstone. That pared-down style washes over Alma, a renovated gymnasium and sewing factory in the affluent Östermalm neighborhood. Designed by Carlström and Swedish architects Tham & Videgård, it’s kitted out with custom furniture and objects such as solid-ash tables and benches, and a mobile light installation by Danish artist Kasper Friis Kjeldgaard. 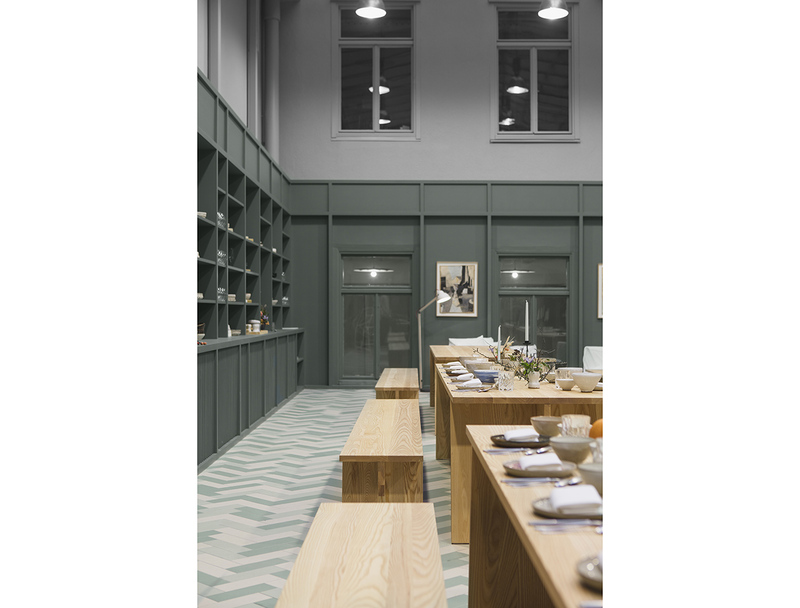 Beige, green, and gray finishes align with classic herringbone floors to set a subdued mood befitting its location on a northern Baltic Sea archipelago. In the kitchen, chefs Martin Brag and Leo Frodell of the Ett Hem hotel, a favorite of international travel magazines, conceived a seasonal rotation of dishes that take a produce-driven approach to traditional Swedish cuisine. “It’s more of an ever-changing family meal based around a few vegetables and proteins prepared in different ways,” says Frodell. Served in the the airy atrium dining room and elegantly plated on ceramist Rikard Palmquist’s earthy brown- and pink-toned tableware, the spring menu features dry-aged lamb, west coast Swedish mackerel, and stinging nettles with ramps and rhubarb. Meanwhile, Alma’s breadth of offerings includes the requisite work areas, a music and editing room, and an outdoor terrace. 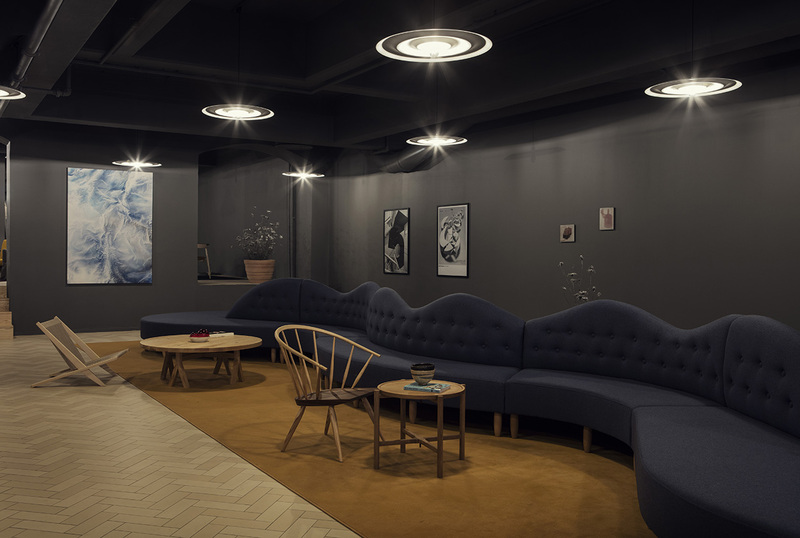 On the ground floor, a café is supplied with Järna Rosteri coffee beans, and Austere’s storefront carries its own furniture line along with covetable labels PP Mobler and Wästberg, whose wavy, razor-thin “w171 Alma” won Lighting of the Year at this year’s esteemed Stockholm Furniture & Light Fair. The blueprint is familiar, but the outcome has a touch of inimitable Swedish simplicity.